The ebook is formatted so that it can be delivered online or face to face. It is not intended to be exhaustive or even a comprehensive mini grammar. It is also helpful for conversational English and for a grammar revision component as part of conversation English lessons. 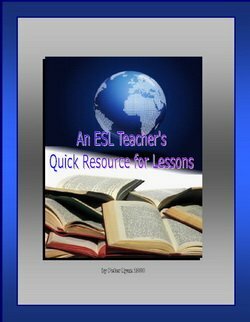 This short e-book is designed to help English tutors work with students who wish to gain or revise their basic knowledge of English. It is written in a format ready to be delivered from the page - although each section can be separated into a lesson format preferred by the tutor. Tutors are free to cut and paste and provide students with up to 30% of the pages for homework etc. Copying the whole ebook is not permitted.